Metis Design is a Landscape Architecture firm owned and lead by Kristin Jeannin. 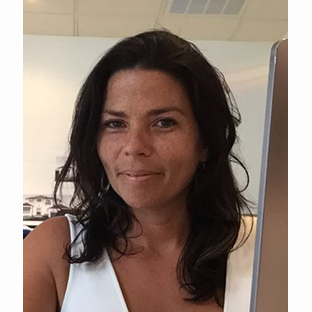 Kristin has gained knowledge and experience at all levels of the landscape design, from planting trees to developing a full range of high-end custom home plans, over a career spanning 20 years. She is a Licensed Landscape Architect and Fine Artist who has been shaping her passion for mindful design in the greater Naples, Florida area for over a decade. We excel at and enjoy both commercial and residential design. We partner with many of the top local builders, landscape contractors, growers, plant brokers, architects and engineers to produce all ranges of landscape related services. We are truly happy to do a small front yard renovation or a large commercial project ranging from Planning, to Site Development, Construction Documents, Supervision and beyond. See more about the specific services we offer in the “Services” tab. While we love and understand our local South Florida climate well, we extend our design skills and services to any climate. We have completed projects in Coastal Maine, Potowski, MI, and Charleston, SC. We are a small office with quick turnaround and a hands-on approach that understands the importance of communication. There is no magic formula other than listening to the client’s needs, tastes, preferences and questions; this is truly where we find our inspiration for each unique project. Because of the attentiveness within early dialogue, we often hit the mark upon review of initial concepts, which then allows us to move quickly and easily to the more detailed phases of design. Metis (mā tēs′) – Skilled design through understanding and experiencing one’s craft and its local specifics and nuances. John started with Metis Landscapes in March of 2017. He holds a BA in Business from Monmouth College in Illinois and is an FNGLA Certified Horticulture Professional. John’s landscaping roots begin in Central Illinois where he worked as a landscape laborer during the summers for various landscape companies. His love for design gradually transitioned from a hobby to a lifelong passion. In 2015, after a trip back to Illinois to build a retaining wall for a lifelong friend, John knew that he wanted to make landscape design his career. After a year and a half of taking classes in his own time, volunteering at the Naples Botanical Garden, and becoming FCHP certified, John was offered a position with Metis Landscapes. He is extremely grateful for the opportunity to begin his new career with Metis and is passionately helping Kristin with designs while working towards becoming a licensed Landscape Architect himself. With a decade of experience in sunny subtropical Southwest Florida, ranging from complex construction management, to Botanical Garden Design our clients are surprised to learn Kristin’s career started over twenty years ago, with a shovel in hand in the coastal regions of Maine. She holds degrees in both Landscape Architecture and Fine Arts from the Rhode Island School of Design and balances her creative side with her grounded knowledge of the construction industry. Through working closely with those who have maintained her designs she has gained expansive knowledge about the plant palette our region. Kristin founded Metis Design in 2014 as a hands on, responsive, leading edge Landscape Architecture firm. The firms design work has already been recognized at the CBIA Sandollar Awards as well as the Naples Park Shore Beautification Awards. From her early days of working in coastal Maine as a landscape supervisor and laborer, Kristin knew the landscape industry was her place to expand and contribute. Whether entrenched in the construction field, advancing her education or exercising her design skills, Kristin has dedicated over 20 years of her life to the profession of Landscape Architecture. She brings 12 years of experience in South Florida with an in-depth understanding of its unique characteristics, habitat and the balance of using native plants species along with suitable tropicals. Kristin brings an added touch to her designs by drawing on her Fine Arts degree to create unique, specific and desirable landscape solutions.